Within the state-country’s busy center is a building that houses a test laboratory, which is being groomed to emerge as a major and significant player in the local water business. 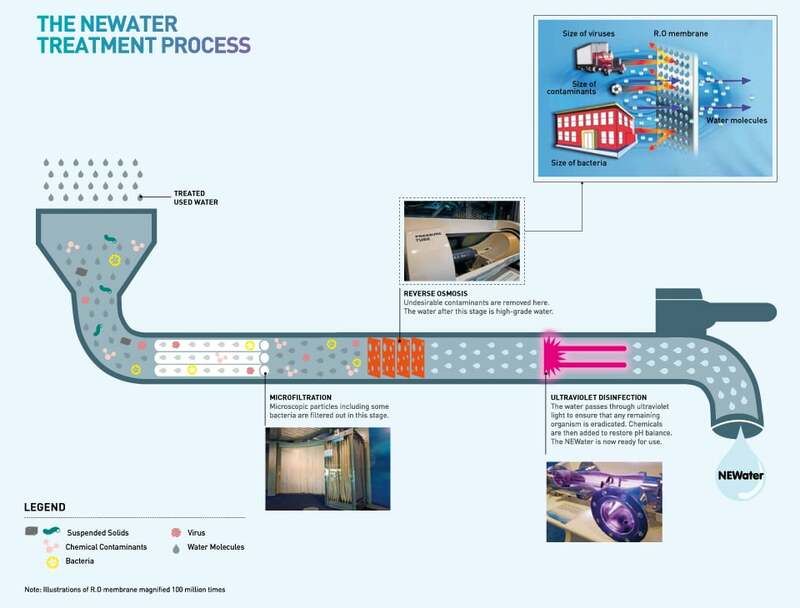 ‘Water Hub’ is a two-year old facility that has been testing and using most advanced available technologies and techniques for water reuse and reclamation. It has been establishing itself as a significant frontrunner in bolstering international research initiatives for water purification through reverse osmosis. Water Hub is funded and supported by numerous local firms and organizations. Among those companies is Siemens Water Technologies. The firm has won the ‘Singapore Innovative Technology Challenge’ in 2008 for its new seawater desalination technique. The company’s process is able to lower energy consumed for reverse osmosis by up to 90%. The technology is facilitated through channeling seawater for treatment through a reliable electric field rather than the conventional energy-intensive vaporizing and heating processes.